The 2018 Toyota RAV4 is really thait SUV: everybody who drives it, loves it; and, anybody who doesn’t drive it, wants to drive it. Truthfully, a major part of its lovability is its incredible cabin. Check it out! 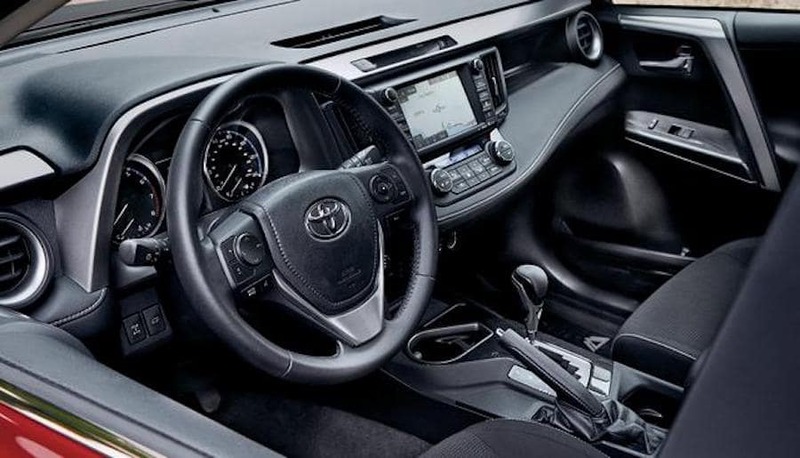 Our team here at Andy Mohr Toyota created this review of the 2018 Toyota RAV4’s interior for our customers in Avon, Plainfield, Indianapolis, and the surrounding Indiana towns and cities. Thanks! Of course, as with any crossover SUV, the goal is the ability to carry as many people and as much cargo as you possibly can. Luckily, the 2018 Toyota RAV4 is remarkably good at accomplishing that goal. Between room for five passengers and multiple different cargo-space configurations, you’ll be all ready to go. This row of front seats is power-adjustable in multiple stages, so that you can sit (i.e., relax) however you’d like. Furthermore, they’re heated, which solves the issue of those terribly cold Indiana winters. Furthermore, behind the wheel of the Toyota Rav4 SE trim level, your eyes will feast on a performance-inspired gauge cluster that features red needles and red information. The red will catch your eye as you glance down, so that you can focus on the road for the rest of the time…exactly the way you’re supposed to. There’s also an abundance of Rav4 safety features that make the interior of this crossover one of the best in its class. Advanced Technologies: Entertainment, Navigation, etc. Last, but certainly not least, we’ll offer a partial list of some of the entertainment and navigation tech that’s available in the 2018 Toyota RAV4. If you have any questions, feel free to reach out to us soon. Contact us today at Andy Mohr Toyota to set up your RAV4 test drive! We even totally forgot to mention its stylish frameless rearview mirror and its nature-revering power moonroof. 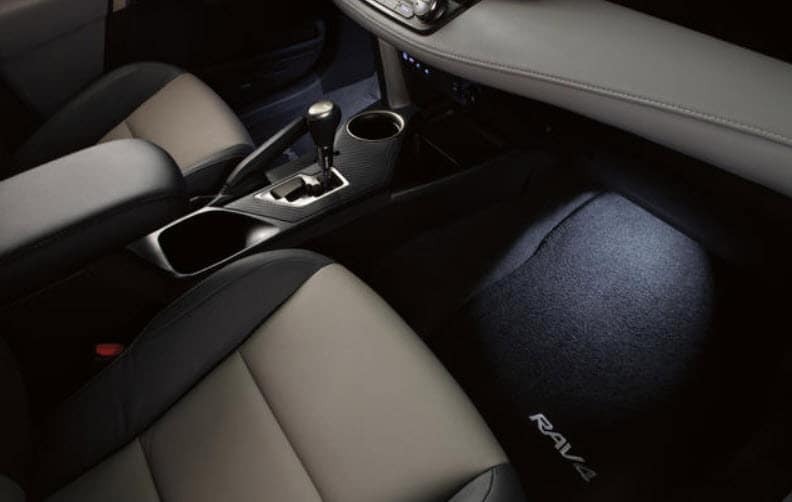 This type of oversight shows you exactly how much is going on inside the Toyota RAV4. In fact, so much is going on that we just want you to test drive it for yourself. If you live around the Indianapolis, Plainfield, or Avon areas, then there’s no better place to do that than at Andy Mohr Toyota. Contact us!